Welcome To Medicine Bow and Mark Warren Books! 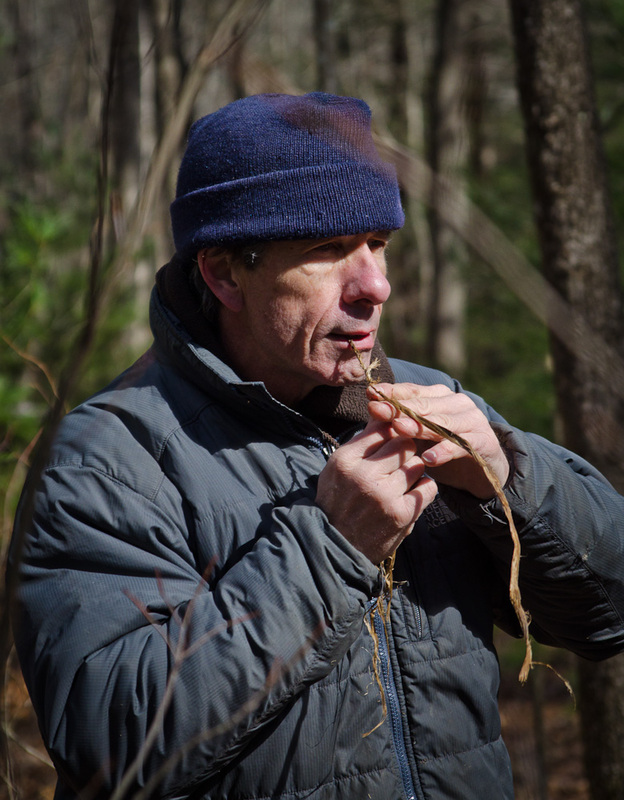 Meet Mark Warren, a naturalist, composer, novelist, and director of Medicine Bow, a school teaching the primitive skills, crafts, foods and medicines of the Cherokee in the north Georgia mountains. 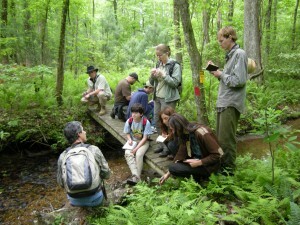 In 1980, working through the Georgia Conservancy, Mark designed and taught Georgia’s first statewide environmental education workshops for public schools, which reached thousands of teachers from Rabun to Seminole Counties. 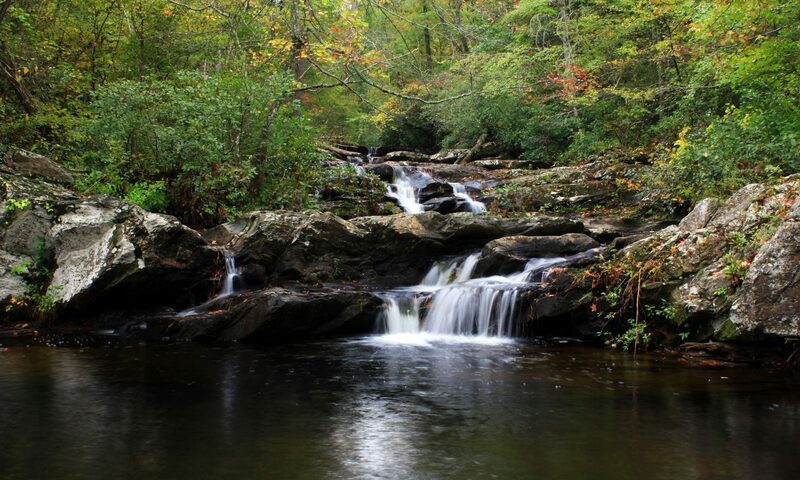 For this project the National Wildlife Federation honored him as Georgia’s Conservation Educator of the Year. In 1998 Mark became the U.S. National Champion in whitewater canoeing. In 1999, he won the World Championship Longbow title. 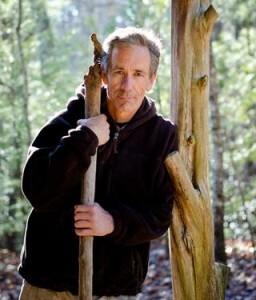 Mark owns and runs Medicine Bow Wilderness School in the Southern Appalachians of Dahlonega, GA. Mark has taught survival courses to thousands of schools and groups all over the Southeast and as far southwest as the Rio Grande in Big Bend National Park … northwest to Washington State … north to St. Croix Scenic River Park in Minnesota. 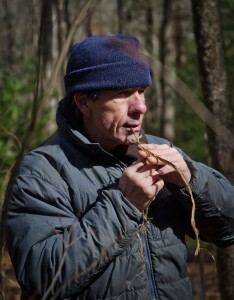 Mark has also taught a special course on survival/nature at Young Harris College as an adjunct professor. Guernica, Blue Ridge Highlander, North Georgia Journal, and Georgia Backroads. 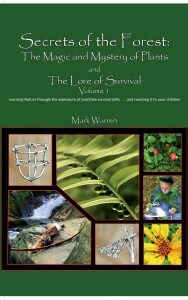 Mark Warren is a lifelong student of nature and primitive lore. Growing up in the piedmont of Georgia, he was in love with the forest. 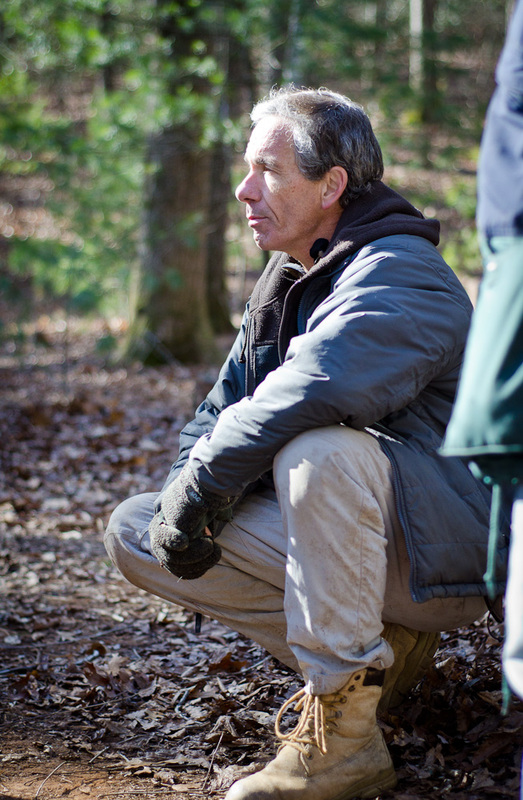 After being graduated from the University of Georgia in art and chemistry/ pre-med, he served 10 years as naturalist / environmental educator for The Georgia Conservancy and 17 years as wilderness director for High Meadows Camp. 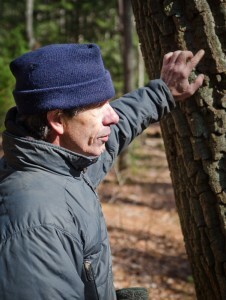 He is the author of Magic from the Woods and The American Wilderness Awards, both activity books in nature study. In 1980 he designed and taught Georgia’s first statewide environmental education workshops for public schools which reached thousands of teachers. For this the National Wildlife Federation honored Mark as Georgia’s Conservation Educator of the Year. Mark’s canoeing experience comes from 25 years of exploring creeks and rivers and whitewater racing. He has been the Dixie Division Open Canoe Slalom Champion 5 times, and in 1998 became the U.S. National Champion in the Slalom/Downriver combined. His relationship with bow and arrow is intimate and atavistic, though he no longer chooses to hunt. Archery is an art to him. In 1999 Mark won the men’s division of the World Championship Longbow Tournament. Mark has composed music for the Academy Theater, the Atlanta Symphony, and for public concert, the most recent of which raised money for the Cherokee people of Georgia. 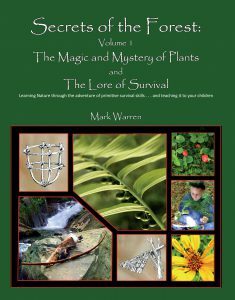 Mark has completed a four volume series of books called Secrets of the Forest which compile his lifework as a naturalist. They include hundreds of original activities for teachers and students alike. Each book is richly illustrated and enhanced by definitive photographs. Visit the “Books” page for more information on Mark’s books and speaking engagements. If you would like to talk to Mark about Medicine Bow classes, you can email him at medicinebow@att.net or call him at Medicine Bow Wilderness School 706-864-5928. If you would like to schedule a speaking engagement for your organization, contact Mark’s publicist, Susan Brown at markwarrenbooks@att.net, or at Medicine Bow Wilderness School 706-864-5928. “Wyatt Earp, An American Odyssey,” Mark Warren’s historical-novel trilogy on the life of Wyatt Earp. Book one, “Adobe Moon” and book two, “Born to the Badge” are available at all major retailers. Book three, “Promised Land” is due for release in October 2019. Scroll down for more information and reviews on this highly acclaimed Earp trilogy, and for a SNEAK PREVIEW of Chapter one from book one, “Adobe Moon”! 1) To provide clear instructions in primitive survival skills for anyone wanting to better his/her self-sufficiency in wilderness . . . by learning the old Indian ways of living comfortably in the forest. Order Secrets of the Forest here directly from the author, or you will find these books available at Mother Earth News Store, Outside World Outfitters, Dahlonega General Store, Mountain Crossings, Midwest Mountaineering, Granny’s Country Store, Gilmer Arts Center, Eagle Eye Books, Foothills IGA, Booth Western Art Museum, The Cherokee Museum, The Book Tavern, The Book Worm, Barnes & Noble Chattanooga, Barnes & Noble Athens, Malaprops Bookstore and Cafe, Etowah Indian Mounds, Okefenokee Swamp State Park, Sautee Nacoochee Cultural Center, Old Sautee Country Store, Mt. Yonah Books, and The Book Exchange. Part One (The Magic and Mystery of Plants) covers 100 plants and their uses as food, medicine, cordage fibers, insect repellency, and craft materials. This study of plants is the essential foundation for a true understanding of the skills that follow. 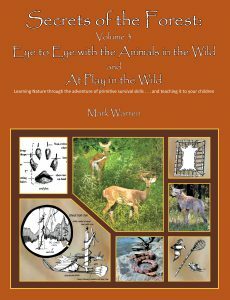 Part Two (The Lore of Survival) covers shelter-building, water acquisition & purification, primitive cooking, rope-making, baskets, clothing insulation, rabbit stick technique, traps & snares. Over 200 hands-on projects. 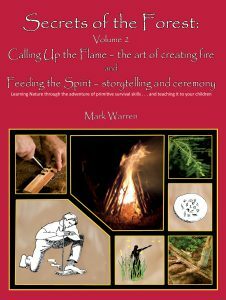 Part One (Calling up the Flame) covers match use (for young ones), pyre-building, fuel species, fire-making species, bow-drill, hand-drill, fire-saw, and fire-banking. Part Two (Storytelling & Ceremony) explores the use of stories and ceremony in creating the whole person. Some of this content is borrowed from Native American philosophy and adapted for contemporary application by all ages. Over 100 hands-on projects! Part One (Projectiles) covers making and using the sling, throwing-spear, atlatl, and bow & arrow. Also included are the steelier implements – throwing-knife and tomahawk. 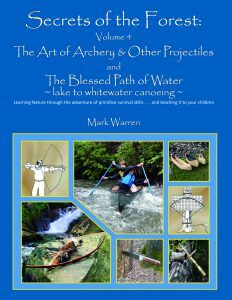 Most important in this volume is the art of archery – the refined, handed-down techniques for shooting a bow and arrow accurately, consistently. Part Two (The Blessed Path of Water) explores the dynamics of the open canoe, beginning on calm water and graduating to whitewater. Over 150 hands-on projects. A memoir: Follow the life of naturalist Mark Warren for the two years after his small farmhouse in the mountains of Southern Appalachia was struck by lightning. After losing his possessions in the devastating fire that followed, he embarked on a “simpler” life of accountability and appreciation, where every chore made perfect sense and every day carried the promise for intimacy with creatures of the wild. As he continued his life work as an environmental educator, his tipi in the forest was more than the coziest of homes as it became a symbol of commitment for those who studied under his tutelage. 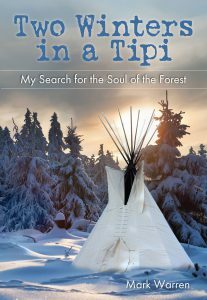 This story offers the past, the parts, and practicality of the tipi, but more than that it offers inspiration for those who seek to understand the natural world as man was meant to know it. Read Chapter 1 for free here on Mother Earth News! “Two Winters in a Tipi” is available through your local Indie Bookstore, or from major booksellers including Amazon, Barnes and Noble, and Walmart. If you have enjoyed reading “Two Winters in a Tipi” please post a review on Amazon or Goodreads. 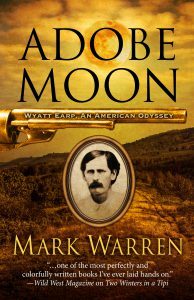 “Adobe Moon,” Mark Warren’s first book in a trilogy on Wyatt Earp is more than historical fiction. Though it is a period piece of the 19th century, it is a timeless story that relates to all of us. Regardless of when or where a person lives in time, each of us is faced with a universal plight: How do we become a man or a woman? And how do we find our place in the world? Do the times shape us? Yes, just as surely as the place and people around us. Family, especially. It has always been this way. What if you wanted to run away from home to fight in a war . . . but you were too young? What if you were forced to labor over 80 acres of crops by an overbearing father who knew nothing about giving some slack to his sons? And, as a fourteen year old, after accruing the requisite calluses of farming, what aspirations might you consider for your vocation? This is the story of such a boy who never quite finds all those answers. But because of his physicality, confidence, and a willingness to exercise deliberate courage, he does find his place in a life much admired by his peers. His name will always be spoken anytime that a conversation arises about justice vs. law and order . . . and how those American commodities do not always balance on the scales of a courtroom bench. His name was Wyatt Earp. Earp was many things–farmer, freight hauler, stage driver, railroad wrangler, husband, constable, wood splitter, accused horse thief, brothel bouncer, buffalo hunter, gambler, and lawman–most of this in the “new” and raw land of America’s untapped West. The possibilities seemed endless for Wyatt, but he will be remembered in that last category . . . peace officer, a role he did not want. Instead, it would seem that history wanted it for him. He was that good at it. “It is plain Mark Warren knows Wyatt Earp’s story. He has researched it long enough, deep enough, and well enough to know it in ways that few others do. Adobe Moon is an absorbing read. Understated, direct, yet somehow reflective and even philosophical, it is easy to forget that this is a novel about an American legend. And that makes it all the more satisfying in the end. In the restless ramblings of the young Wyatt Earp, Warren found clues to the man Earp would be. I will be looking forward to the continuing odyssey of the very human Wyatt Earp he is revealing. For now, I have much to ponder as a result of reading Adobe Moon.” ~ Dr. Gary Roberts, Emeritus Professor of History, Abraham Baldwin College, author of Doc Holliday, the Life and Legend, Wiley and Sons, 2006. “Adobe Moon is no ordinary Western. This one is special. Many fictionalized versions of Wyatt Earp’s story have been written . . . most, however, are largely ignored by the historical community . . . (but this one) has proven to be the exception to the rule. Adobe Moon is an engrossing ride with Wyatt Earp. My only criticism is the next book (in the trilogy) isn’t out quick enough.” ~ Erik J. Wright, Author, Western Historian and Assistant Editor of The Tombstone Epitaph National Edition. Quoted from The Epitaph. Mark Warren is the first writer to illuminate the Earp story from the inside. Adobe Moon and Born to the Badge show you why Wyatt Earp became a legend and what that legend was born out of. ~Allen Barra, author of Inventing Wyatt Earp, his Life and Many Legends. Book one, Adobe Moon is available through your local Indie Bookstore or from all major book sellers including Amazon, Barnes and Noble, Target, and Walmart. If you have read and enjoyed “Adobe Moon,” please write a review on Amazon or Goodreads! Read Chapter 1 for free, here, now! In the dark pre-dawn quiet he lay facing the window by his bed and stared at the stars hanging in the western sky. They floated over the land like the dust of jewels strewn across black water. These stars had become the milestones that marked his coming passage, and he gazed at them this one last time for the sake of preserving a memory, he supposed. One last view through the windowglass of his youth. Today he would be gone, to become a part of the larger world that waited for him. First the war in the East. Then, surviving that, he would journey west toward the promise of opportunity. It was all out there, he knew. Whatever enterprise a man was bold enough to reach for, the West would afford him a place to try. Were anyone to ask him why he must fight, he might only say something about duty–a topic he deemed too personal to reduce to words. Once that duty was met, he would have earned his right on the frontier. He knew that the ragged boundary of the country was creeping steadily westward, like a charred line of black smoldering across a sheet of paper, and he needed to stay ahead of that flame. It could not be said that he dreamed of places, for he was not the type to dream. But he planned his course with a deliberation uncommon to one his age. If one of those bright points of light out in the night sky was his lodestar, pulling him, he had not singled it out. He needed no such talisman. It was the pull that mattered. Carrying the bundle of clothes he had rolled inside the wool blanket, Wyatt, in his stockinged feet, picked his way across the groaning floorboards through the dark house. His boots stood just inside the kitchen door, and he sat to tug them on. Through the east windows the stars were thinning. Now they burned like the campfires of a vast and distant army fallen into deep slumber before the coming battle. Already he felt closer to the war. He listened to the night sounds of the house–his father’s rough snore coming from the back room, the hollow tick of the cherrywood clock in the hallway, the faint seep of air sucking through the vents of the woodstove. Outside, somewhere to the east, a coyote called a single sliding note, and it was that sound to which he connected, if only for its claim on autonomy. Stepping outside onto the stoop he inhaled the coolness of late summer. It was too dark to see the cornfield–eighty acres that he had been working since he had been old enough to sink a hoe into this Iowa dirt–but he could smell it. The stalks were heavy with the coming harvest, and already he felt lighter for being done with it all. Inside the tack room he lighted a lantern and stuffed the blanket-bundle behind the heavy sacks of grain, and then he spread loose hay at the edges. Standing back to appraise his work, he imagined his father in the barn later–old Nicholas gathering up his blanket, saddle, and bridle for the ride into town. Satisfied with his cache, Wyatt stepped out to the stalls, hung the lantern, and doled out grain to each of the feed troughs. The horses nickered and nodded their big heads, some blowing air on his hands as he worked. He spoke to them quietly, letting the tone of parting soften his voice. If only he could have saddled the Thoroughbred without delay, headed south to Ottumwa, and be done with this morning of tiptoes and secrets. But that was not his plan. He might be a wayward son, but he was no thief. When he walked back to the house, the oil lamp was glowing inside the kitchen window. He kicked his boots together and pulled them off before opening the door. The sizzle of bacon had salted the air in the room, and his mother bustled about the kitchen as if she had never slept. “Well, you’re up early,” she said, glancing up from her busy hands. savory meal–whether sick or nursing an ailing neighbor or broken from the loss of a child. Wyatt had never seen defeat show in her face. She looked at him as she leaned her weight onto stiffened arms and worked the dough in a rolling motion with the heels of her hands. Her lips parted, but she made no sound, as though she could not speak and labor at the same time. “I could eat a coupl’a extras if you don’t care,” he added. Her gaze ran the length of him, from wheat-straw hair to the recently darned socks. “You are gettin’ to be tall as your father.” She turned her back to him, and her shoulders hunched as she leaned into the dough. He watched her until she straightened from her work. He ate at the sideboard, taking the servings as she prepared them. Outside the formality of the dining room and his father’s presence, they talked comfortably, Wyatt following any subject she was inclined to broach. He could see she was starved for conversation, the kind he supposed a woman needed on a daily basis. When she turned her back to him as she prattled, he wrapped two biscuits in a cloth napkin and stuffed the package inside his shirt. First light was blooming in the eastern sky when Wyatt stepped up on the old gnarled root at the blackjack oak. He took a final look at the field of corn spread before him. How often had he perched like this, balanced by the hoe–a tripod of man and tool set up at a distance to take a bearing? He had always wondered why the vast Iowa sky could not dwarf the field of green, reduce it to a size that seemed manageable. From the oak he could see the work’s beginning but never the end. Once inside the interminable rows of stalks there would be a sense of neither. Only a blistered present, hard on a calloused past: chop, sweat, itch, breathe the dust, and swat the flies. And keep on. The sun floated up through the trees now, breaking into a mosaic of burning red shards and then washing out the sky from its initial burnished gold to a dingy blue-gray. Morgan came from the barn, dragging a hoe that was half again his height. His sleepy eyes were half-hidden under the shock of hair fallen over his forehead, hair the same summer-gold tint as Wyatt’s. He stopped next to the oak, shaded his eyes with his slender hand, and searched the fields alongside his older brother. “What’re you lookin’ at?” he said, now squinting up at the side of Wyatt’s face. Wyatt shook his head and stared at the broad expanse of green. It wasn’t just the size of the job . . . but keeping a rein on his two younger brothers. Their part was to lighten his load, but a day had seldom passed that they weren’t fighting or wandering off. He looked at Morgan now, trying to see in the boy the man who would have to take over the farm work after this day. He had told Morgan that he was joining the army, and Morg had held the secret close, as a brother should. Wyatt almost told him now that this was the day. All summer the secret had whispered inside him like a wind whistling through the cracks of a hastily built house. Yesterday it had been a gale in his ear. But now, on the day of his departure, a calm settled over him, and he decided to take no chances. He could wait. Wyatt remembered when his father had toiled in a field, before the old man had refused to soil his hands with such work. Old Nick had conceived other ways of turning a dollar–a convenient credo of politics that milked a town of its coffers through the sleight of hand of the law and city governance. Mulling over his father’s methods of subsistence, Wyatt felt all the more certain about leaving. He was done soiling his hands, too. Watching his little brother–wide awake now–dash off through the dew-wet grass, Wyatt wondered if he himself had ever displayed such fervor for manual labor. He remembered wanting to prove himself to his father, that was for certain, just as he remembered the futility of that effort. “An’ get Warren movin’!” he called out to Morg’s back. Wyatt returned his gaze to the drooping green blades of corn clicking against one another in the constant boil of the prairie wind. From where he stood, the corn appeared immaculate, reflecting the early morning light in metallic glints–a mirage that would flatten under the arching path of the sun. Some men could see glory in farming. His father always claimed to be one. Wyatt could not. He doubled his leathered hands over the pair of rounded hickory handles, trying to take some measure of his own worth as weighed against Virgil, James, and Newton. For months now, his older brothers had been at the war, and every morning when he walked toward the suffocating green of the cornfield, he imagined what they awoke to: the smell of gun oil; chicory coffee brewing over a campfire; the throat-bite taste of cannon smoke drifting through the trees; maybe some blood dried into a cloth scab on their blue uniforms. And yet here he was, the corn crop stretched out before him thicker than any army ever force-marched across a battlefield. Straight and green and wax-bright, the field rippled in the wind like a prostrate flag. He was certain there was no glory in it. With the country at war with itself, Wyatt’s elevated status to oldest brother had covered more than dominion over the fields and his younger brothers; it included stewardship of the horses, which was no small part of the bargain. Whenever he could, Wyatt put himself in the company of these animals, assigning the more menial tasks to Morgan and Warren. He gave the most attention to the Thoroughbred, which was, aside from the land, the Earps’ most valuable asset. Twice he had entered the stud in the town races and earned winnings. He patted the wad of bills in his pocket now, confident that it would sustain him until he could draw a soldier’s pay. Buoyed by the secret that had pulled him so early from sleep, he shouldered the tools and walked toward the field this one last time. When he stepped into the road that separated the house from the field, he turned to the steady cadence of a horse at a trot. A high-wheeled buggy with a flat, black canopy rattled along the road, approaching from the north. Wyatt leveled the hoes across both shoulders behind his neck, draped outstretched arms over the helves, and waited. “Wyatt,” the driver called as he reined up, stopping the buggy right in his path. Doc Howell nodded at the pair of tools on Wyatt’s back. “Old Nick got you working twice the load today?” He had eyes that quickly engaged whomever he greeted, the wire-rimmed spectacles seeming to magnify his friendliness. Wyatt tolerated the man’s pointless questions, knowing it to be the doctor’s habit for putting young patients at ease. The horse settled into its respite with a blow from its nostrils, and Doc Howell slackened the reins and propped his forearms on his knees. “I sewed up that big Van den Newell boy last week,” he said, dropping his voice to a low, confiding tone. “Seems I’ve got you to thank for some business. Any more patients coming my way I might need to know about?” The doc’s eyebrows lifted high in pretended curiosity. He felt an unexpected pang of guilt about abandoning his brothers today, but the feeling slipped away as quickly as it had come. They would have to learn how to deal with the Dutch bucks in the township. There would always be troublemakers to handle. Best learn it sooner than later. Doc waited, his face open with anticipation, as if expecting some comment on this report. Looking off to the trees again Wyatt pulled in his lips, pressed his mouth into a tight line, and nodded. Nicholas, Wyatt knew, might punish Morgan and Warren for not fighting their own fight. He took in a deep breath through his nose and quietly purged it. Doc Howell frowned at his hands holding the reins. He shuffled the leather ribbons like he was rearranging a hand of playing cards. Two vertical lines creased into his skin above the spectacles. Doc removed his spectacles and cleaned them with a white handkerchief. His face looked raw and naked without the lenses, like he had just awakened from a deep sleep. “Couldn’t prove it by me, Wyatt. Not with what I’ve seen.” He hooked the spectacles around his ears again and lifted the reins. The horse raised its head and perked up its ears. “Got to go see about a baby,” the doctor said, squinting. He pointed with the knuckle again. “You might think on being a doctor, Wyatt. There’re always going to be babies.” His eyebrows bobbed. “Busted lips, too, for that matter.” When he snapped the reins, horse and buggy picked up right away into the rhythm by which they had arrived. rhythm redundant even before he began it. This had been his war. Two hours before school and three after. Sometimes all day, if the weather dictated it. Wyatt had always gone about it resigned and quiet, never speaking of it in any way. That was his father’s rule. Complaint was a weakness, Nicholas always said, and no Earp displayed weakness. As he worked Wyatt kept watch on the road. Morgan asked twice what he was looking at, but each time, Wyatt only prodded him back to the hoeing. The three brothers hacked at the soil in silence as the trees across the road filled with a chorus of morning birdsong. Finally, when his father took the chestnut mare at a walk past the open row where they worked, Wyatt stopped, feeling the onset of his emancipation as keenly as if a heavy chain had dropped from around his neck into the soft earth. He watched for a time as Morgan and Warren flailed at the dirt like young soldiers issued weapons beyond their size or mastery. Warren looked up, his dark hair framing his face like a warning of his brooding nature. It was Warren, Wyatt knew, who could be the problem. Warren stabbed his hoe into the dirt and stood in the pose of a challenge. Wyatt, setting his face like stone, held his eyes on Morgan. Morgan swallowed hard. He drew the haft of the tool closer and pressed it to his chest, one fist stacked above the other, elbows splayed outward like folded wings. Warren’s eyes jumped from Morgan to Wyatt. “Goin’ where?” he demanded. When he got no answer, his face flushed with anger. For once the youngest of the Earp brothers had nothing to say. He breathed through his teeth as he took in Wyatt’s meaning. Morgan nodded, but tears had begun to well in Warren’s eyes. Wyatt squeezed Warren’s arm again and stood. He offered his hand to Morgan. As they shook, Wyatt realized it was their first handshake that had not involved a wager. “How’re you gonna sign up in town with Pa working at the recruitin’ office?” Morg asked. There was nothing more to be said. He turned and jogged for the barn for his bundle of clothes. The wind picked up and molded his shirt to his back, making him feel light, while all around him the downy seeds of prairie weeds lifted on the currents and trailed off ahead of him toward some untold destination to find their place of beginning. END – Thanks for reading chapter one. I hope you enjoyed it. You can purchase “Adobe Moon” from all major booksellers and from your local INDIE bookstore. 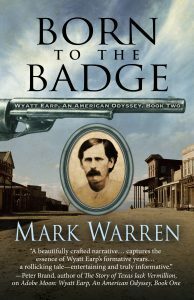 Born to the Badge is the second book in Mark Warren’s trilogy on the life of Wyatt Earp. I am proud to announce that Born to the Badge was honored as a 2019 Spur Award Finalist! Wyatt Earp builds his reputation as a Kansas peace officer in the storied towns of Wichita and Dodge City. Known for his straight-ahead, no-nonsense demeanor he is both admired and hated, yet respected by almost all who cross his path. His story broadens with the complications of relationships, one with a common-law wife who struggles to overcome her past as a prostitute … the other with a mercurial but loyal Doc Holliday, the tubercular Georgia dentist who knows that he is condemned to a short life. Still pursuing his dogged fix on becoming something more than a foot-soldier for a town government, Wyatt refines his skills at the gambling tables and bides his time, never realizing that he is moving toward the legend status that awaits him in Arizona. “Mark Warren is the first writer to illuminate the Earp story from the inside. Adobe Moon and Born to the Badge show you why Wyatt Earp became a legend and what that legend was born out of.” ~Allen Barra, author of Inventing Wyatt Earp, his Life and Many Legends. Now available through your local Indie Bookstore, Amazon and Barnes and Noble! Book 3, “Promised Land” due for release in October 2019. Guernica, Blue Ridge Highlander, North Georgia Journal, Georgia Backroads, Survivor’s Edge, Backwoodsman, Camping and Paddle Magazine. Besides the many workshops open to the public at Medicine Bow, Mark takes his lessons into your school classroom, elementary, high school and college, or to any interested group. His most popular traveling program is THE NATIVE AMERICANS , a 90-minute history and demonstration beginning with the first foot set upon North America. He follows the progress of the Indians as they migrated into the new ecosystems that would shape their cultures into the discrete tribes that finally reflected the land, plants, and animals where they settled. He has an abundance of crafts made in the old way. The program eventually focuses on the Cherokee, the people who once walked the trails of Medicine Bow – the people who knew the Nature of this land like no people ever will again. After this class he likes to take his audience outside to see first hand the secrets of the Indians. Other programs include: Ecology, Design in Nature, Through the Eyes of the Cherokee (a new perspective of familiar grounds), Conservation, Stalking Wild Animals, Plains Indian Sign Language, Animal Tracking, Botany, the Quest for Fire, and Archery Demonstrations. Workshops are held at Medicine Bow all through the seasons for students of all ages. Private workshops are also available. Each class is filled to its limit (usually 13) by a first-come-first-served receipt of check made payable to Medicine Bow, Ltd. You can reserve a spot by email or phone and that spot will be saved for one week, giving the applicant time to mail in a check. A letter of information and directions is then USPS mailed or emailed to the applicant. A check received after a class fills is, of course, returned in full. A cancellation 7 full days before the class is also returned in full. For a cancellation made 4 full days before class, 50% is returned or 60% is applied to a future workshop. Public classes usually run from 9:30 a.m. to 4 p.m. at Medicine Bow, where lasting friendships are made. A student brings knife, notebook, rain gear, sack lunch, and water bottle. For archery and knife/hawk students, equipment is provided. MEDICINE- (Read the section on Wild Foods below.) The medicinal plants that you will learn can be used to resolve stomachache, fever, poison ivy, headache, skin rash, wasp sting, external bleeding, pain, topical infection, indigestion, constipation, diarrhea, sinusitis, bronchitis, and annoying insects. SURVIVAL SKILLS– What was once common knowledge to all Native Americans is now a seemingly esoteric knowledge to most, because modern man and woman appear not to need the raw strength, the skills, and the academics of nature. It is true that most will never be thrust into an emergency survival situation in this time as we know it. Or is that true? Could our structure of subsistence collapse? If so, we may have no recourse but to return to the most basic of skills. That alone is a practical rationale for survival skills. (Imagine that beginning tomorrow, for the remainder of your life, you would have not a single store at which to shop. Every need must come from nature. This was the way life once was.) But even if that tragic and traumatic event should not crash upon your life, there are two poignant reasons to learn these skills. 1. Self-reliance (and self-esteem) soars. 2. Your relationship with the natural world matures, fulfilling a critical piece of your physical and spiritual life. 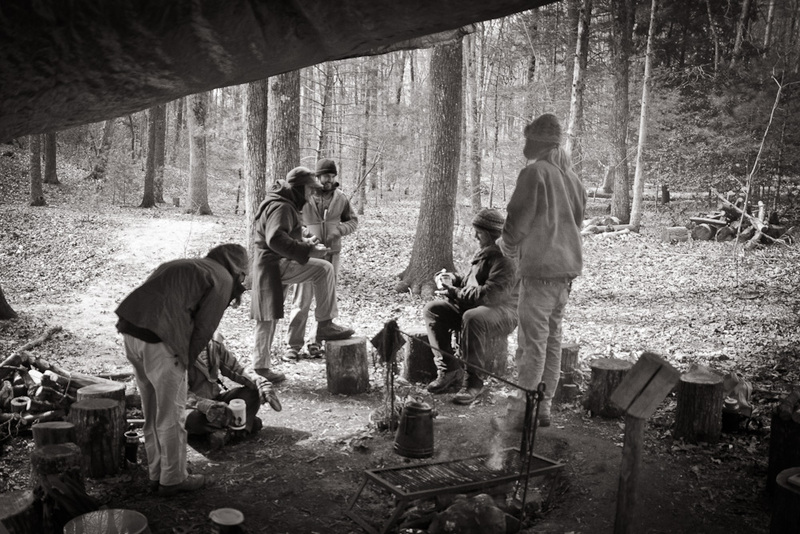 In this course, you will learn about shelter, fire, food, cooking, hunting, snares & traps, water purification, tools, and plant medicines. These skills are taught in a complete manner but suggested as accumulative projects until you are ready to undertake a self-imposed survival trip. Up until that point, your camping trips will become more memorable adventures as you complement your wilderness time with your newly learned skills. BASKETS- Berry baskets of spring tulip tree bark (makes a good arrow quiver too) and acorn-leaching baskets of grape vine. ARROWS- Shafts of river cane heat-straightened and fletched with wild feathers. Hardwood foreshaft and nock inserts. Points of stone, antler, bone, or shell. BOWLS- Wooden bowl burned out by fire using a hot coal and blow tube of plant stem. STALKING-This demanding art is beneficial to body and mind in much the way Tai Chi is. But this skill brings you close to wild animals, whether you are observer, photographer, or hunter. The Indians learned this skill from animals. You will learn to emulate the fluidity of fox, the quiet foot placement of deer, and the patience of heron. Most of the animals people wish to see (both predator and prey) have lost their capacity for color vision (except for birds) in order to isolate their vision on movement. Stalking teaches you the trick of invisible movement. The rewards will be stories of animal encounters you will tell and remember for all your life. FIRE– The magic of fire-by-friction is unique. A kind of humble power comes with the accomplishment of this skill. It is quite a feeling to stand before a dead tree of your careful choosing and know that the two of you are about to conspire in the creation of fire. Some survival schools put a low priority on fire as an essential component of staying alive. At Medicine Bow, I afford it a high rank for two reasons. In late summer and early fall when chiggers are still active but nights are cool, it is pure misery to subject yourself to a debris hut for sleeping. An excessive number of chigger bites can truly affect your state of mind. Also, fire gives a positive psychological comfort to the camper. This cannot be over-rated. Methods taught include the hand drill and the bow drill, not to mention EVERYTHING you ever need to know about constructing your pyre of wood. You will learn about the types of trees that swallowed fire (can make fire) and those that did not. 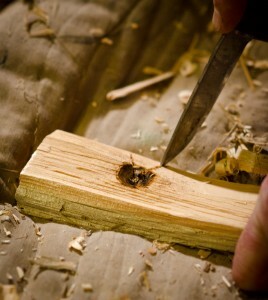 And you will learn which types of wood are best for the burning as your fire reaches its different phases. HISTORY- I take many programs into schools, scouts, or other groups. The most asked-for program has been THE NATIVE AMERICANS in which I demonstrate many handmade crafts and skills of the old ways. The story begins with the first human foot set upon North America and from there branches out into the 500 resulting tribes. What created these discrete tribes? The land itself. Each mini-environment placed its influences upon the new native settlers. The program delves into culture, living skills, and tribal philosophy, which offers the opportunity to compare ancient values to our contemporary attitudes toward our environment. This 1 ½ hour seminar can be followed by an outside tour of THE SECRETS OF THE INDIANS, a hands-on exploration that brings the magic of history into the familiar components of your backyard. In walking your land during this part of the program, you encounter the same resources that shaped the lives of people who first lived on “your land”. BOTANY– This is the heart and soul of Medicine Bow, because all the skills taught start with a knowledge of plants. A comprehensive study of plant anatomy (in which you begin composing your personal life-study book of botany) prepares the student for extensive field study. This program is tailored for all ages. From this first class a student is prepared to continue his/her life study of plants and their uses as food, medicine, and craft material. By walking in the field with a teacher who can eliminate the guesswork of plant identification, your competency in plant study accelerates so much beyond solo study. But eventually it is your solo study that instills in you the sense of really knowing your plants. ECOLOGY- Another program brought to a group, ecology is not, as many believe, a way to treat the Earth, but a science (a process) that has been in place since the beginning of time. It is a study of inter-relationships between the Earth’s puzzle pieces. Ecology is the science that taught humans by example to embrace conservation, recycling, etc. This is a good indoor program to be followed by outdoor time. 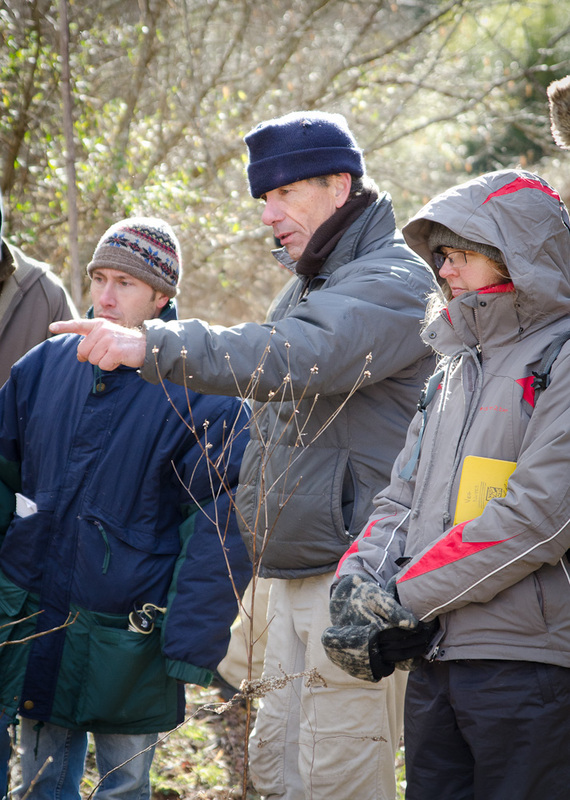 Before conservation can be truly embraced by a student, an understanding of ecology is a must – as is the human place in that intricate puzzle. WILDLIFE-Medicine Bow has no captive animals, because it is a wildlife sanctuary. But it affords wonderful opportunities for animal study (see tracking, stalking). Birds are plentiful for a program based on our winged friends. Some of the other animal residents include: white-tailed deer, raccoon, bobcat, red and gray fox, coyote, squirrel, black bear, white-footed mouse, cottontail rabbit, cougar, dozens of species of snakes, etc. DESIGN IN NATURE- This program is well-suited for indoors or out and provides a lot of excitement for those who like riddles. Everything that exists in nature is displaying its “temporary end result” of centuries of evolutionary experiment. Because a design exists today, it boasts a certain success in its architecture. So from my box of natural goods we try to reconstruct that animal’s or plant’s need for that design. The other aspect of this study that is fun to consider is this: everything that humans “invent” can usually be found first in nature. Two examples for you: 1) the zipper comes from a feather. Look at the soft filaments of a feather under a magnifier as you separate two adjoining sections. And you can hear it unzip. 2) Tick trefoil is a plant you might not know unless in fruit. You’ll know its little green, triangular seeds that stick to your pants and socks. As you pull them off your are removing the “hooked” side of Velcro from the “loop” side (your clothes). INDIAN SIGN LANGUAGE- The tribes of the Great Plains developed a way to communicate with the hands because they were migratory (following bison) and in their travels always coming into contact with tribes who spoke a different tongue. This quiet language then became helpful in times of stealth, such as warring raids and hunting. The language is beautiful and easy to learn with a teacher who can explain to you why a certain sign took on its meaning. Like making fire, it contains a kind of power that you will feel expand your sense of self. It’s also a lot of fun. THE OLD WEST PEACE OFFICER– I have offered this class to American history courses in schools because it has been one of the most important interests in my life. After 40 years of study, seminars, private meetings with top historians in the field, and my travels to the historic places in the West, I can offer a fresh perspective of history versus American mythology. The American frontier was unique to the history of the world and offered an interesting stage for those who would take part. Of course great tragedies underlie this westward expansion: the demise of the bison and the Indians and the disregard for the land as resources were chiseled from the earth. But an unparalleled adventure was ripe for the person willing to follow the frontier. I find none more compelling than he who pinned on a badge to bring order out of chaos. For some it was more than just a job. My specialty is the life and times of Wyatt Earp. CONSERVATION- I harbor the opinion that conservation cannot be taught. It must be logically appreciated by first exposing people to the treasures of nature. But this class certainly has its place, because today people are so removed from their true sources (in nature) that they might never conceive of the ways they can practice conservation once the obligation blossoms inside them. This class is recommended for school students and adults who are ready to assume some degree of stewardship toward the Earth. The course addresses energy consumption, water quality, solid waste, recycling, animal rights, lifestyles, consumerism, philosophies, air quality, food, … in ways that apply to our daily lives. The program ends with the challenge of a commitment by each student. LEGENDS- Storytelling once used as its canvas the curl of flames against the black of night to free the imagination of the listener. The lessons, allegories, and warnings hidden in these stories were an integral part of tribal education. (This bond between storyteller and story painter has been replaced by the TV/VCR/video game screen.) Stories told over the campfire at Medicine Bow are designed to teach a lesson, whether that be the proper form for an archer’s release or the concepts of honor and courage. ARCHERY- I have pursued many techniques of shooting and believe I have gravitated to a very fine method of teaching; in fact, I consider Medicine Bow’s class the best course of its kind. It is for beginner, intermediate, and near-expert. I am a dedicated archer, though I choose not to hunt. Archery is an art to me. In this course you will learn direct shots (the hunter’s shot), clout shots (once used in castle siege, lots of fun and beautiful to watch), and lob shots (once used for signaling). You will learn to shoot at stationary and moving targets, two very different techniques. Indian and old English styles will be covered. All gear is provided, but if you have your own you should bring it. Besides this class, Medicine Bow offers a monthly adventure for archers who would like to try to win the Silver Arrow at an Archery Rendezvous. All ages 7 and up and all skill levels are welcome as we use a handicap system. PARENT/CHILD DAYS – Most of Medicine Bow’s adventures are designed for quality family interaction in a beautiful environment. These gatherings are an excellent opportunity for those who are just now learning to spend time in the forest and who are seeking the know-how to do it on their own. The activities are varied: sometimes centering around archery, Native American games, original Medicine Bow games, or certain aspects of nature study or survival skills. Families can attend in any combination: Dad/son, Dad/daughter, Dad/all kids, Mom/son, Mom/ daughter, Mom/all kids, or everybody come at once. No pets please. We recommend as a minimum age: 7. TEACHER WORKSHOPS –I will travel to your school to help your teachers discover ways to incorporate environmental education into their curricula with a minimum of effort. Part of this is learning to make the most of your school grounds. It is true that not every teacher is adept at presenting value choices in environmental education. But at the very least, every teacher should be visibly engaged in some aspect of environmental conscientiousness; for the teachers are role models who have a golden opportunity to help reverse the momentum of a culture disengaging itself from a reverence toward nature. No matter how removed a person may “seem” to be from the natural world, we all still depend on it as critically as did the people who had to live closer to the land on a day-to-day basis.